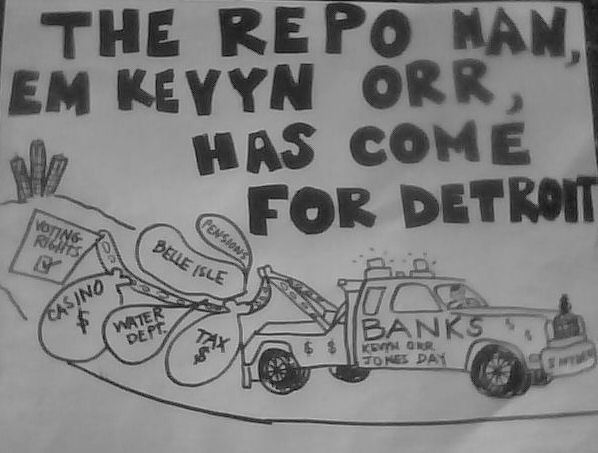 Detroit bankruptcy plan puts buzzsaw to pension benefits » Cancel Detroit’s Debt To The Banks! Detroit’s state-appointed emergency manager sliced into the accrued benefits of pension fund participants in a plan of adjustment filed in U.S. Bankruptcy Court on Feb. 21, while the city would not be required to make any pension contributions from its general fund until 2023. Funding for pension contributions is dependent on several moving parts, and benefits would be slashed further if any part of the plan falls apart. Under the exit plan filed by Kevyn D. Orr, the city’s emergency manager, funding for the two city pension funds — the $2.77 billion Detroit General Retirement System and $3.4 billion Detroit Police & Fire Retirement System — would be contingent upon an agreement between the state, several private foundations and the Detroit Institute of Arts to raise about $820 million to fund the pensions and preserve the city-owned art collection. Even under that funding arrangement, general employee participants would see their benefits cut 34%, while police and fire employees would receive a 10% reduction. However, if members approve the adjustment plan in a “timely” manner, the decreases would be 26% for the general employee fund participants and 4% for the police and fire fund, according to the plan of adjustment. Cost-of-living adjustments would also be eliminated, and there would be cuts to retiree health-care benefits. Mr. Spiotto said there is precedent for senior creditors giving value to junior creditors because it does not take additional assets off the table. He believes that would work the same for a third party, in this case foundations committing money to pension contributions, but could be more difficult for a planned $350 million contribution to the city from the state because the governor has said the money could be used only for pensions. In January, Gov. Rick Snyder and legislative leaders announced they are working to allocate up to $350 million from state tobacco settlement revenues strictly for Detroit city pension expenses. The allocation has not been approved at this time. Mr. Orr said Feb. 21 he is hopeful state officials will provide that piece of the funding puzzle. The rest of the pension money would come from the DIA raising $100 million over the next 20 years and an “irrevocable commitment of at least $365 million by the foundations,” according to the exit plan. A coalition of foundations already pledged in January to commit at least $370 million to help cover pension obligations. The group includes the $10.9 billion Ford Foundation, New York; $8.2 billion W.K. Kellogg Foundation, Battle Creek, Mich.; and $3.3 billion Kresge Foundation, Troy, Mich.
Bill Nowling, spokesman for Mr. Orr, said that other modifications to the defined benefit plans should keep their costs under control, without a more drastic change. “Generally, the city is confident that, with more conservative actuarial assumptions and management and no addition of new employees or continued COLA adjustments, the funds can perform at a level that will not increase unfunded liability,” Mr. Nowling said. Mr. Orr has estimated unfunded pension liabilities total $3.5 billion. The bankruptcy exit plan would decrease the assumed rate of return for the general employees plan to 6.25% from 7.9% and for police and fire, to 6.5% from 8%. “The adjustment to new rates may be very appropriate because it reduces the opportunities of being surprised (down the road),” Mr. Spiotto said. Mr. Nowling said the city is looking to move new hires and non-vested employees into a defined contribution plan, but that is still subject to ongoing negotiations in federal mediation talks. Mr. Spiotto said he was surprised a contingency was not placed in the plan of adjustment under which the city would revisit the pension situation periodically over the next 10 years to potentially restore some benefit levels if city revenue exceeds projections. “The reason is to try to get a buy-in from employees” to approve the plan, Mr. Spiotto said. The pension funds might appeal the plan, which still needs approval from Steven W. Rhodes, the U.S. Bankruptcy Court judge overseeing Detroit’s bankruptcy petition. 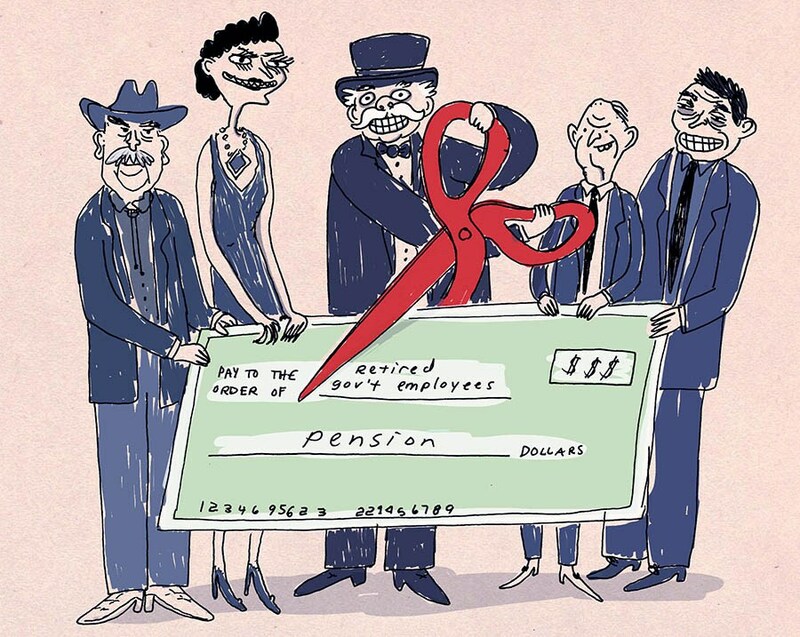 Pension benefit cuts were expected after Mr. Rhodes in December ruled state pension rights are contract rights and can be impaired in bankruptcy cases. Under the plan submitted by Mr. Orr, secured creditors would receive 100% of what they are owed, while unsecured creditors would receive about 20%. City union groups and retirees were not receptive to Mr. Orr’s plan, while Mr. Snyder and DIA executives applauded the efforts. “We think the filing of the plan of adjustment at this time is premature, potentially impedes the mediation process, increases litigation and other costs to all parties, and delays resolution of the bankruptcy case,” the Police & Fire Retirement System said in an e-mailed statement. Al Garrett, president of the American Federation of State, County and Municipal Employees Council 25, Lansing, Mich. also decried the plan as a “gut-punch” to past and current employees. The plan meets the requirements for a “cram-down,” which is a request to confirm the plan over the objections of some creditors if at least one class of impaired creditors accepts it. Amy Haimerl and Chad Halcom, reporters with sister publication Crain’s Detroit Business, contributed to this story. 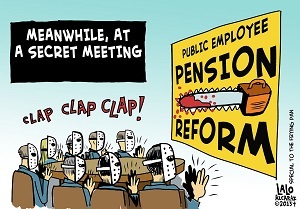 This article originally appeared in the March 3, 2014 print issue as, “Detroit bankruptcy plan puts buzzsaw to pension benefits”. Detroit’s Bankruptcy and Barn Doors Detroit’s big maybe.